I’m truly excited and energized about a class this spring as we bring together the Raspberry Pi platform and entrepreneurial thinking in a course titled “Technology Ventures.” With a group of 7 students, we are going to explore Raspberry Pi, see its uses hands-on, learn a little Python, and develop a business model around the computing platform. I can’t determine whether I’m more excited about an immersive hands-on opportunity for Information Systems majors or that the entrepreneurial mindset is being infused into their coursework. 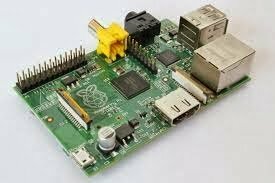 The Raspberry Pi, the $35 System on a Chip motherboard, was developed to bring computing resources to underserved areas. This has begun to manifest itself in two ways; schools now have access to inexpensive computers to teach programming to students at a young age and underdeveloped countries now have affordable access to technology. One of the great unintended consequences of this technology are the researchers, hobbyists, and enthusiasts the platform has brought forward. People of all abilities are using R-Pi to create, innovate, have fun, and solve problems (25 Fun Things to Do with a Raspberry Pi). The low-cost nature of this platform lowers the barrier to access and creates the perfect blank canvas for innovation. So where do the two of these beasts really intersect; Raspberry Pi and Entrepreneurship? I see the blank canvas as the center of innovation in this endeavor. Let’s keep the technology fixed and surround it with the value proposition, customer segments, and financial models. Rather than approach entrepreneurship as a local pub and 100-page business plan, let’s fix the technology and create a business model around one central theme. R-Pi allows this due to its flexible platform and architecture. If one person can create a home surveillance system and another a keyboard out of beer cans, there are definitely some options for innovation. Fixing the technology allows Information Systems students to identify their tech strengths, hone their tech skills, and create value with technology. They are truly the owners of their creation. Using the frameworks for ideation developed by Alex Bruton in conjunction with the Business Model Canvas as developed by Alexander Osterwalder and Yves Pigneur, students will take their raw ideas and develop them into a business model for a chance to win start up capital from our institution’s Business Creation Competition. Besides, what could be better than developing a product or service that is both impactful and feasible while adding value? Share book reviews and ratings with RJ, and even join a book club on Goodreads. Thinking about grad school? Do you enjoy research in computational science?